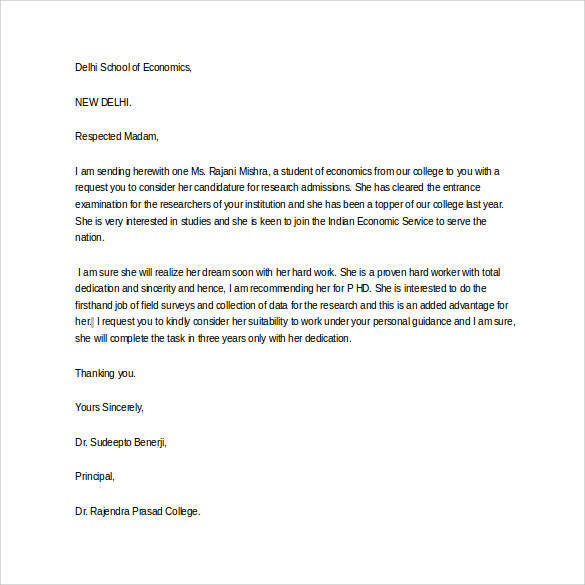 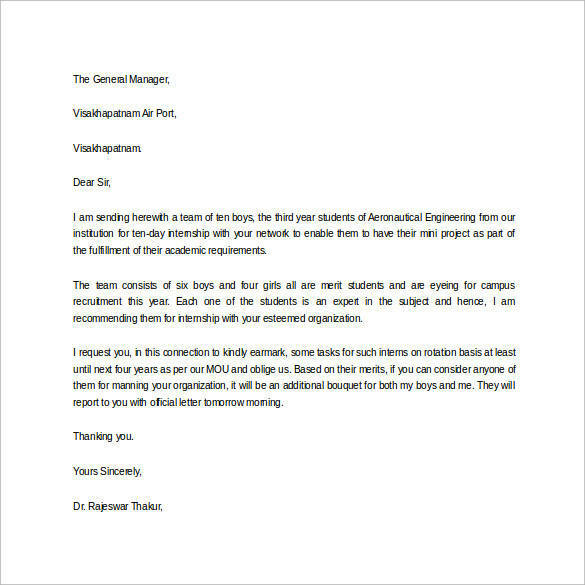 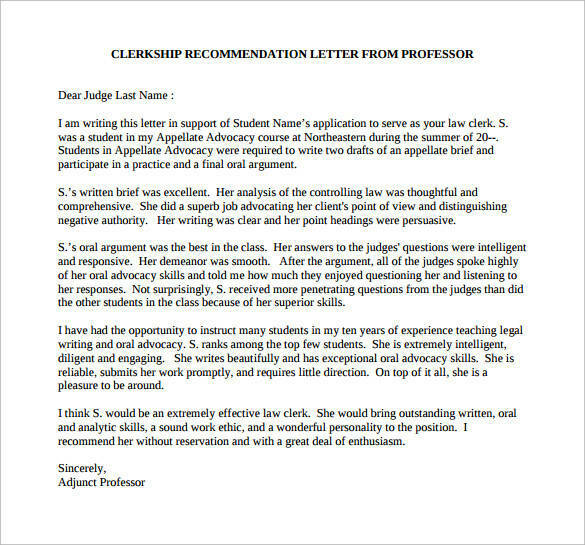 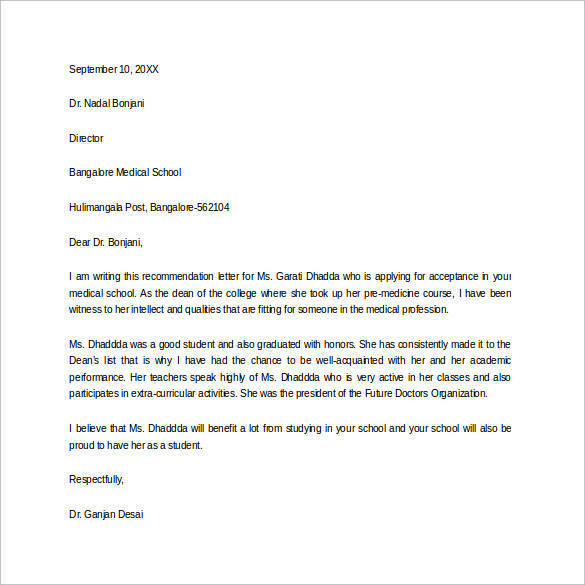 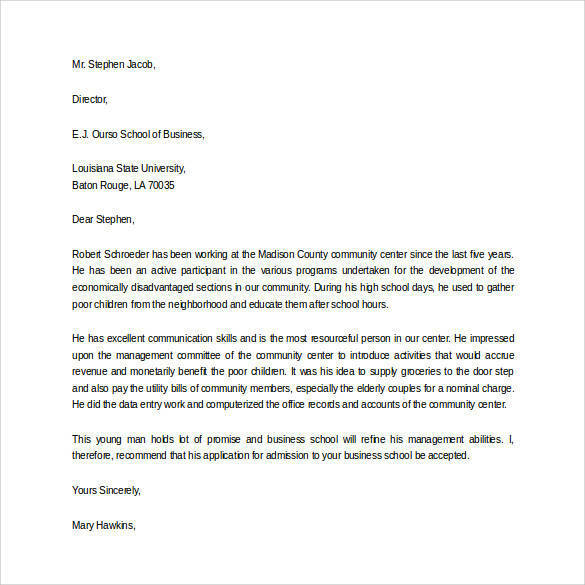 A letter of recommendation for students vouches for the skills and the character of the student. 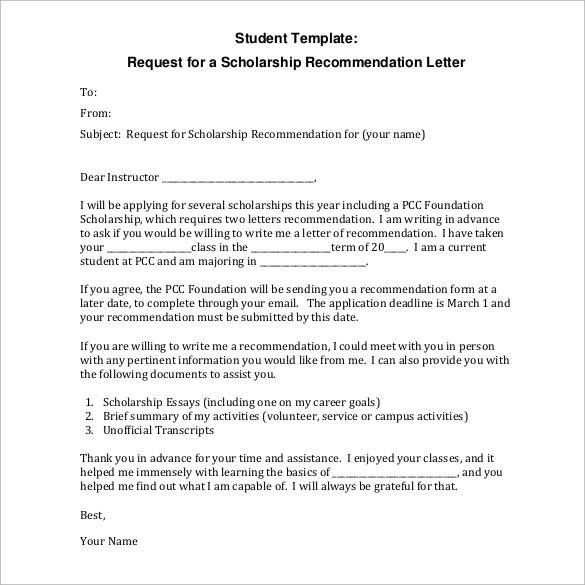 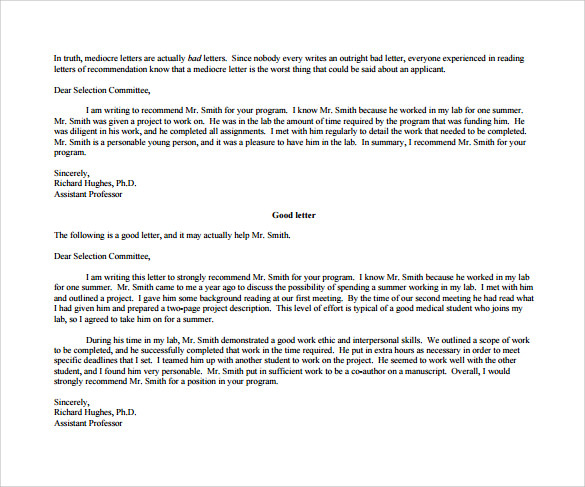 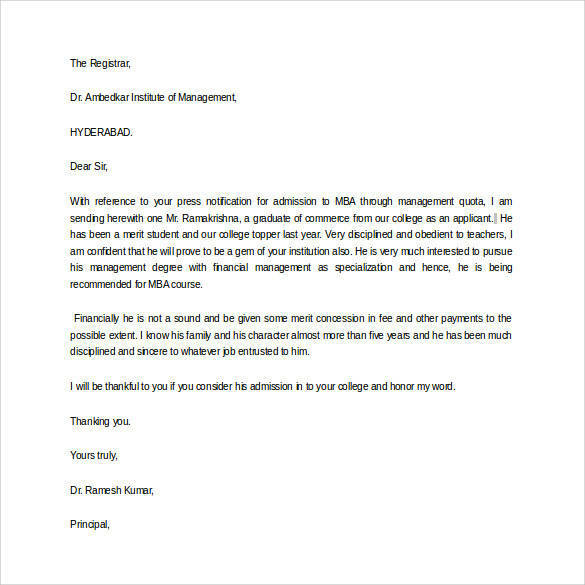 When applying for that scholarship or internship, a letter of recommendation is very useful. 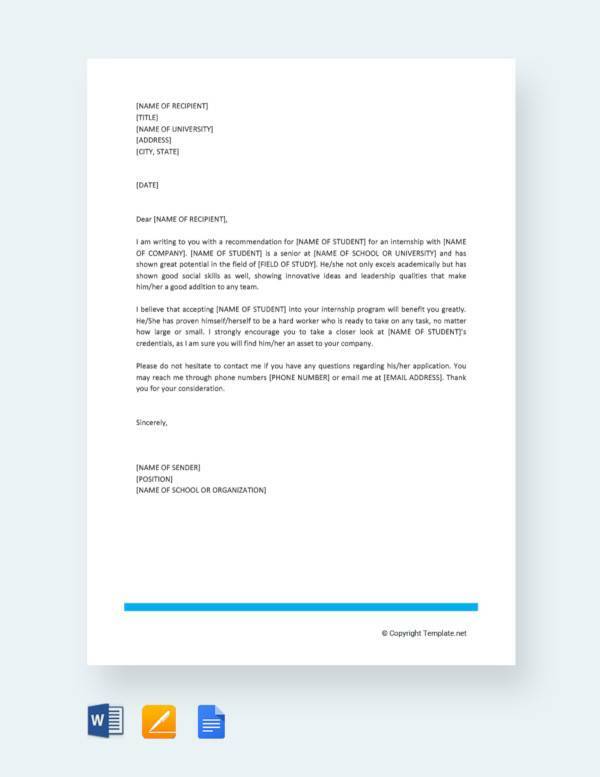 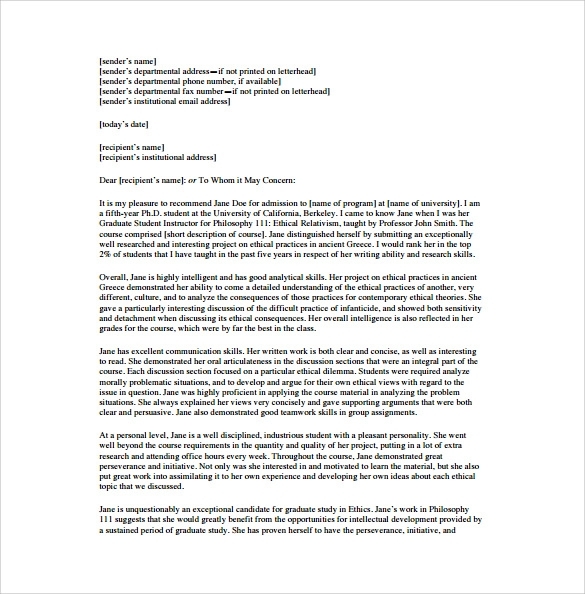 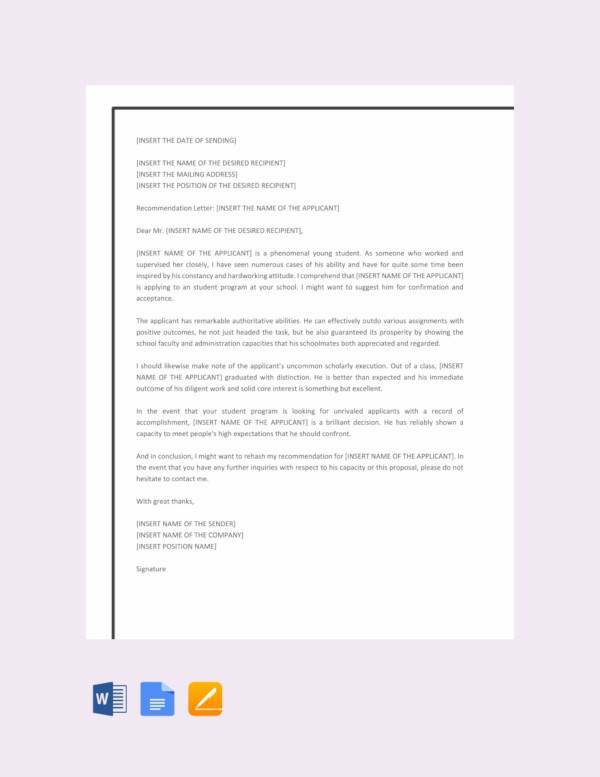 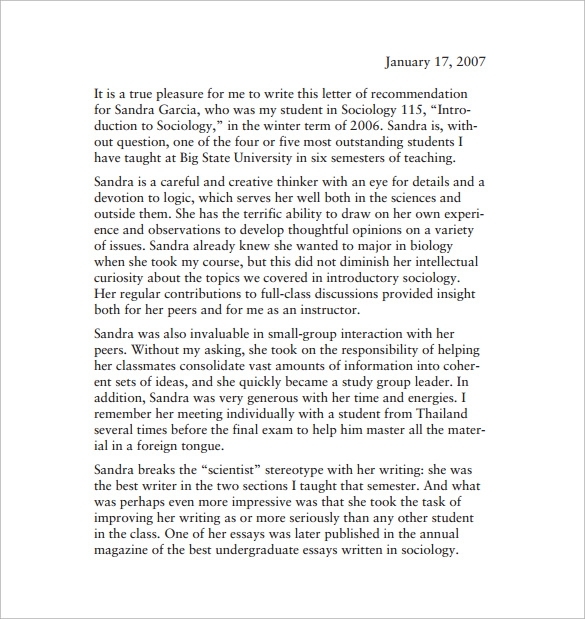 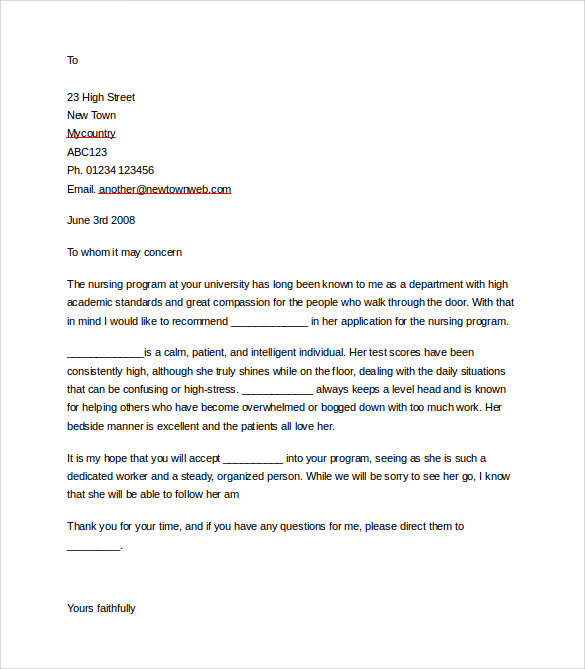 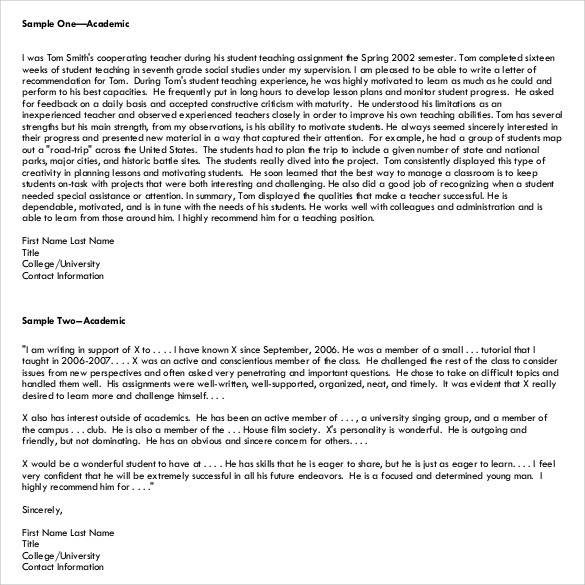 Free templates for different styles of letter of recommendation for students are available for download, usually in Microsoft Word format.Although test scores can give one view of how a student is academically, a Letter of Recommendation throws light on the attitude of the student. 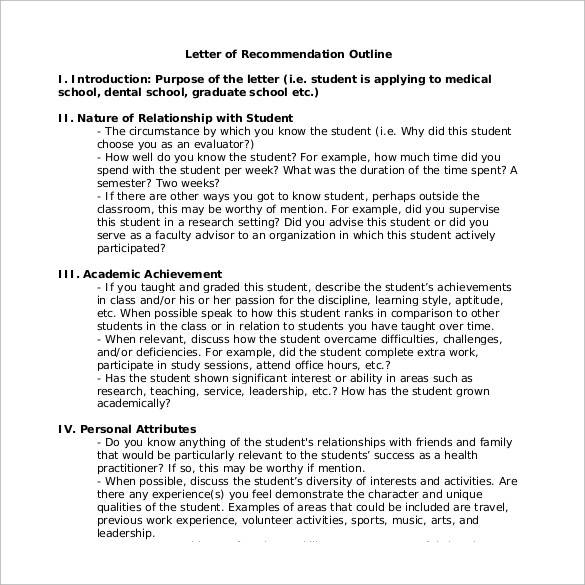 It gives an overall picture of the student, apart from numbers on a piece of paper. 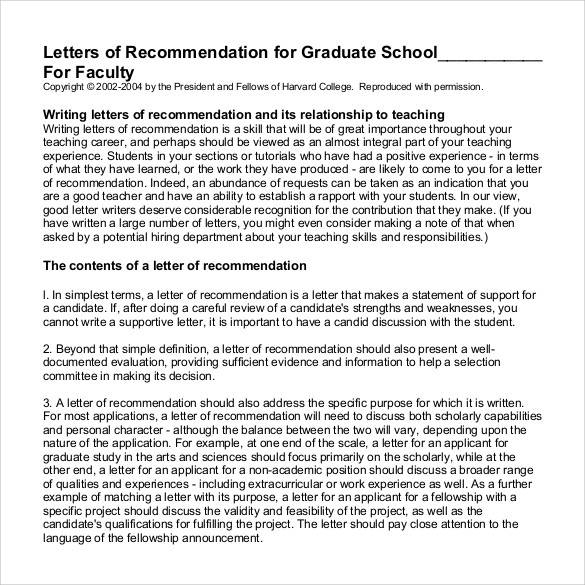 This is a perfect format for letter of recommendation for student admission. 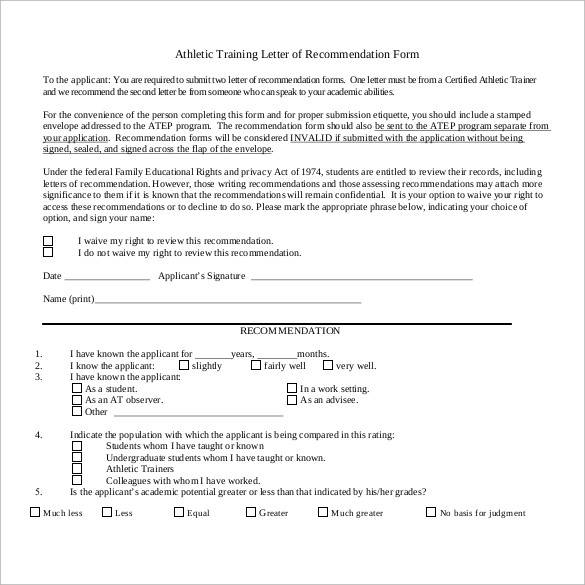 It has provisions to fill the applicant familiarity, applicant ratings in different sections, degree completion, comparable program and comments or notes about the student. 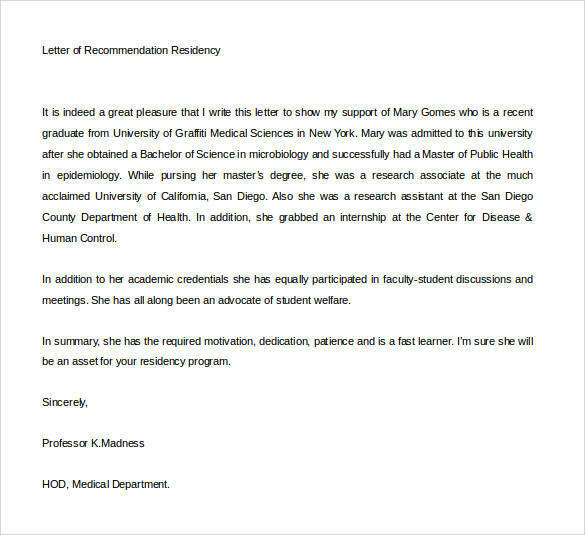 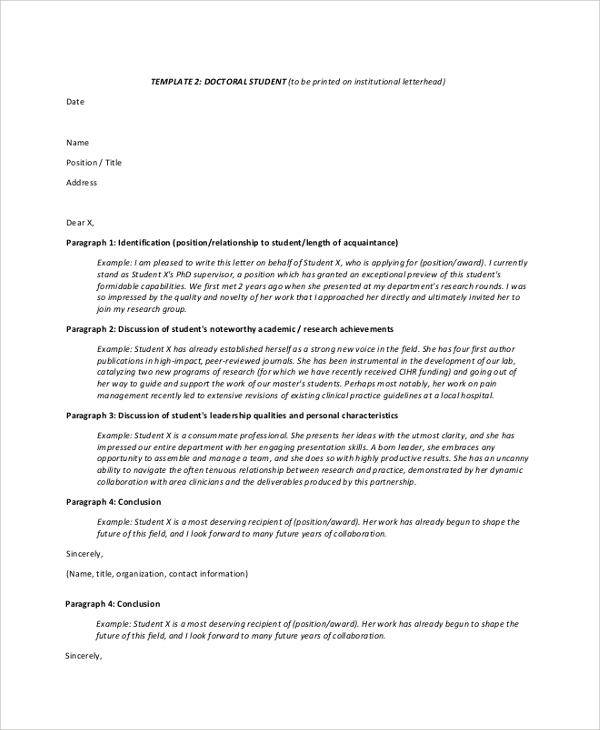 This is a letter of recommendation for doctoral students and it states the points to remember before writing such letter, the perfect format and content to follow and a proper checklist to make sure everything is covered. 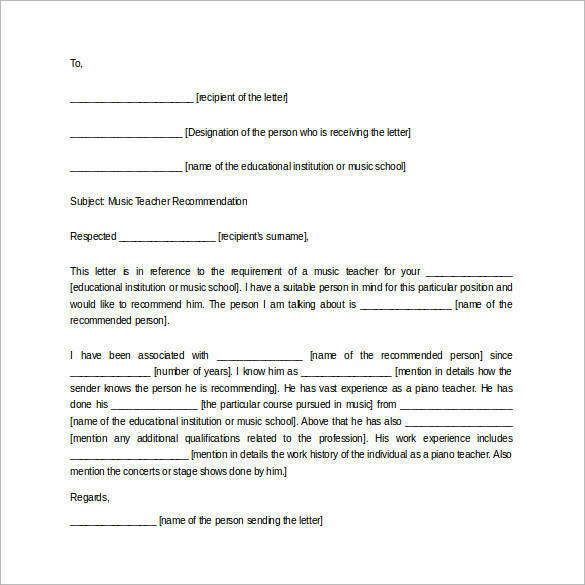 This is a form whereby a school can recommend a student for higher studies by mentioning the highlighting qualities. 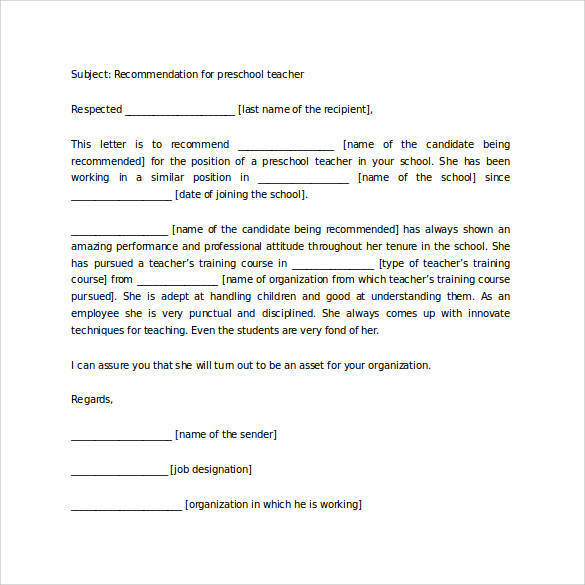 It is a form that students have to fill to make the recommender aware of their abilities like future goal, past activities and job experiences, strong points, academic qualifications and so on. 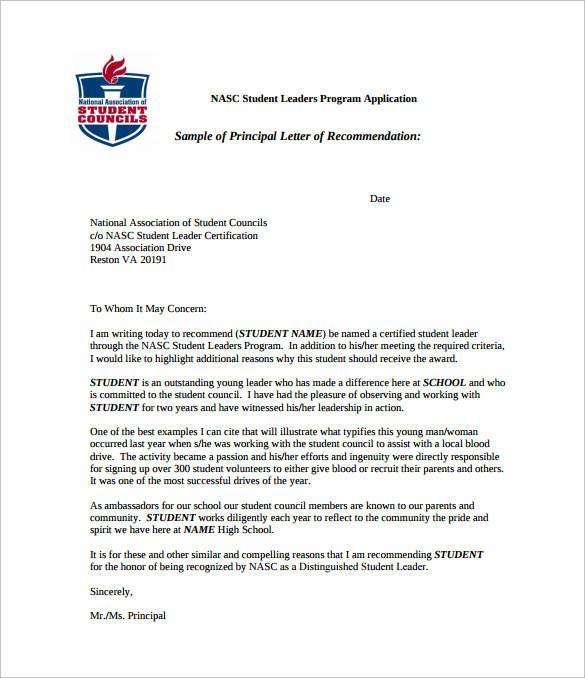 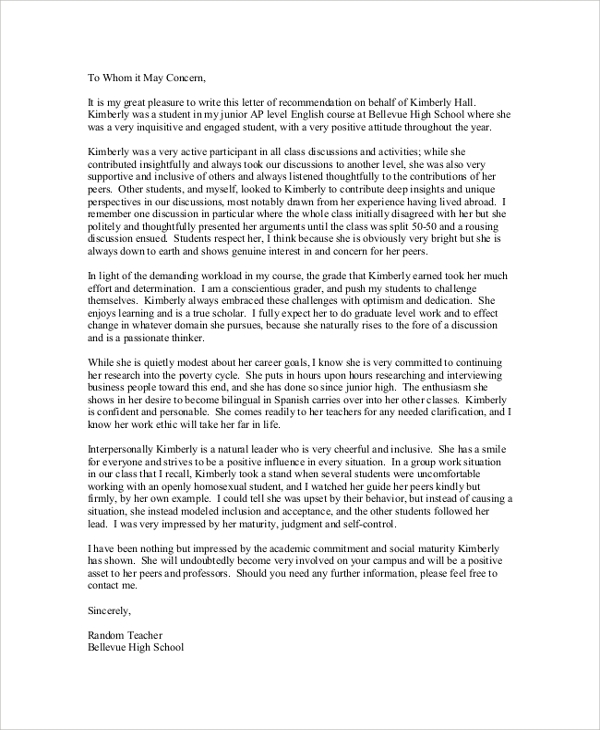 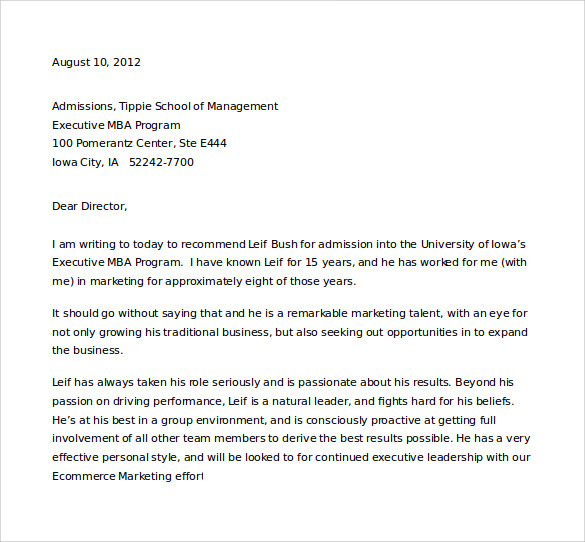 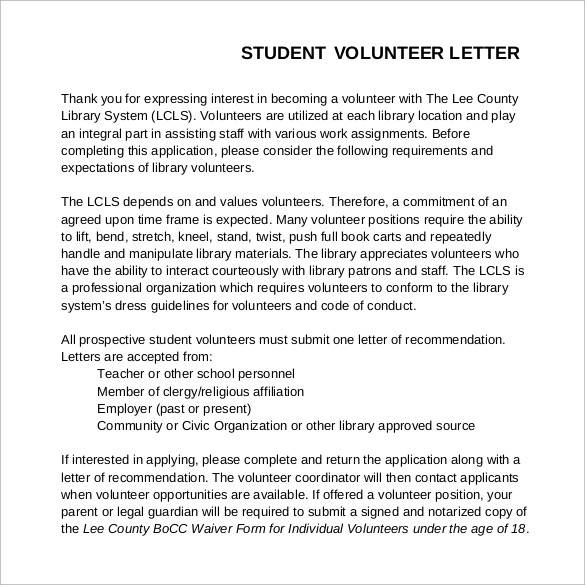 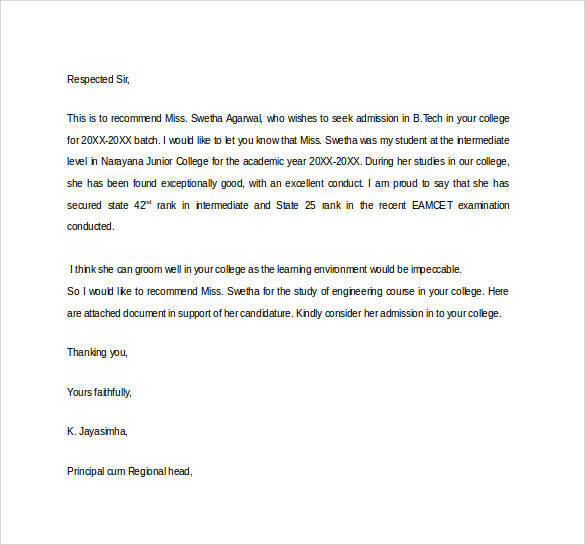 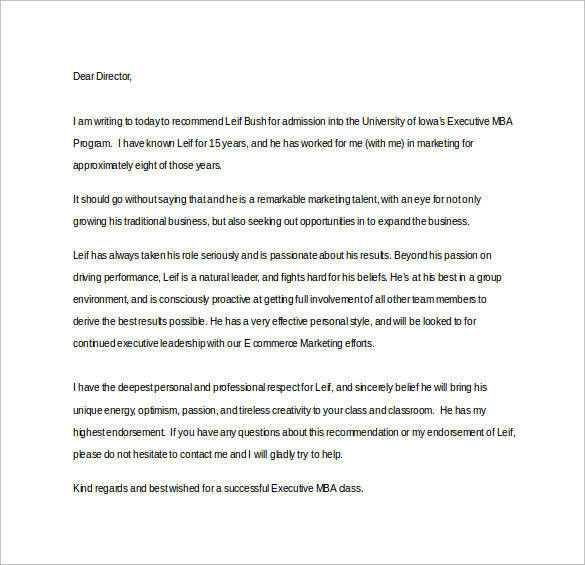 This is a sample letter of recommendation for high school student. 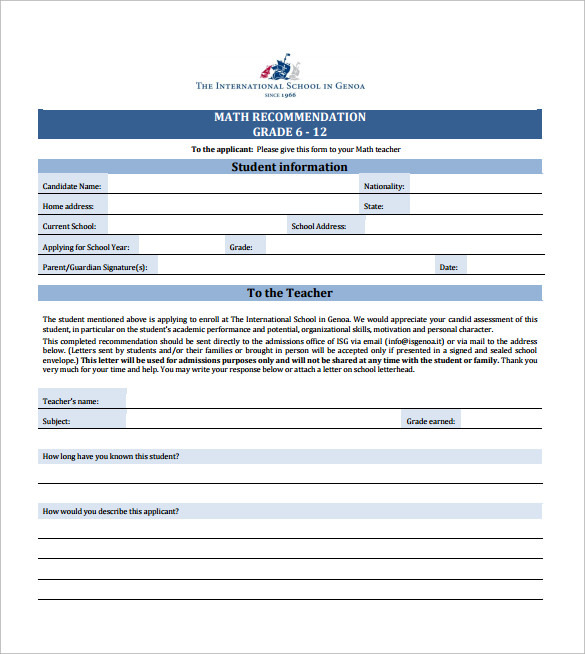 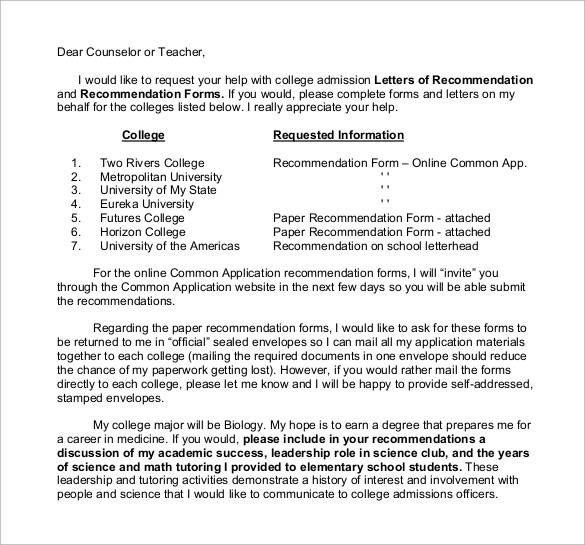 The recommender can follow the example and the format to write his letter for recommendation to help the student achieve his or her objective easily. 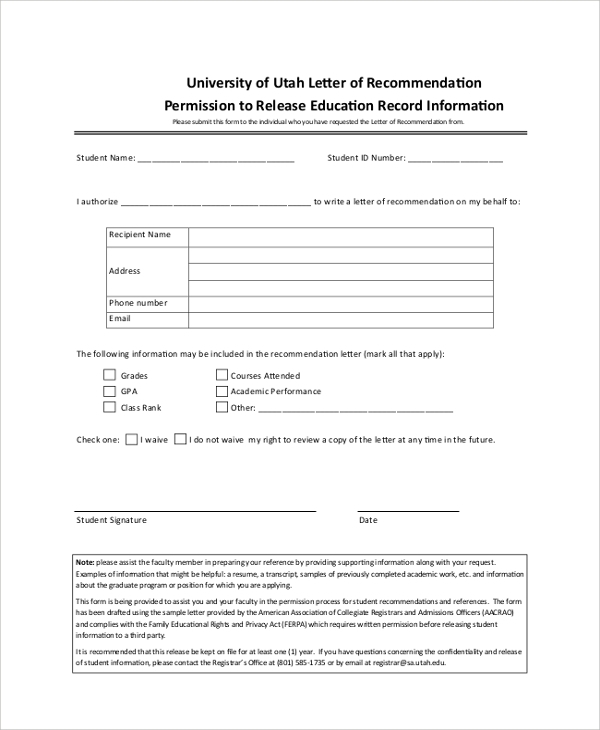 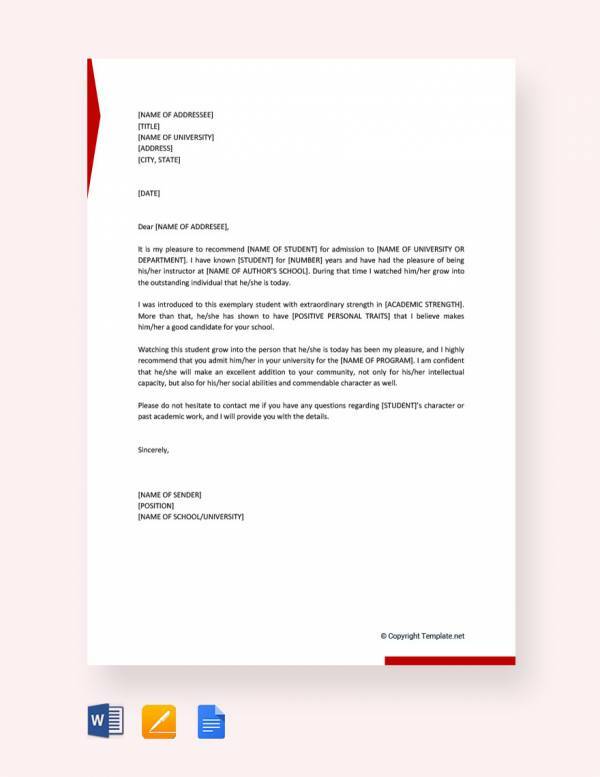 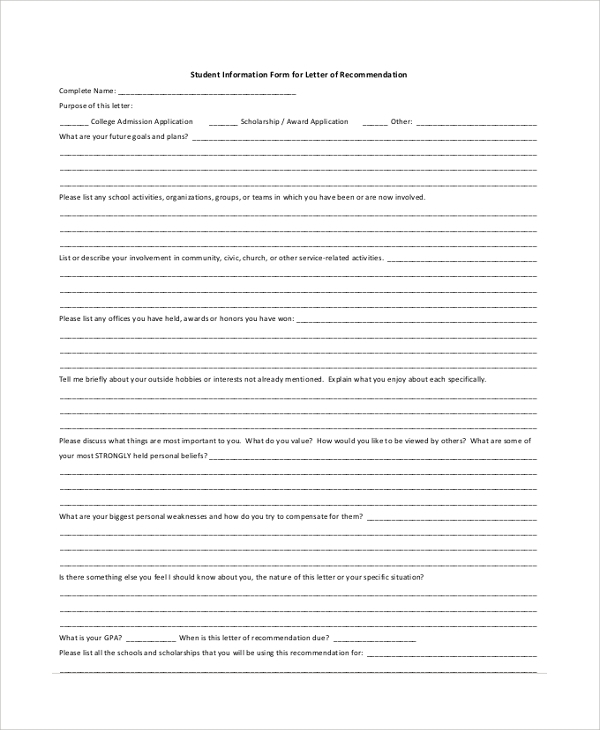 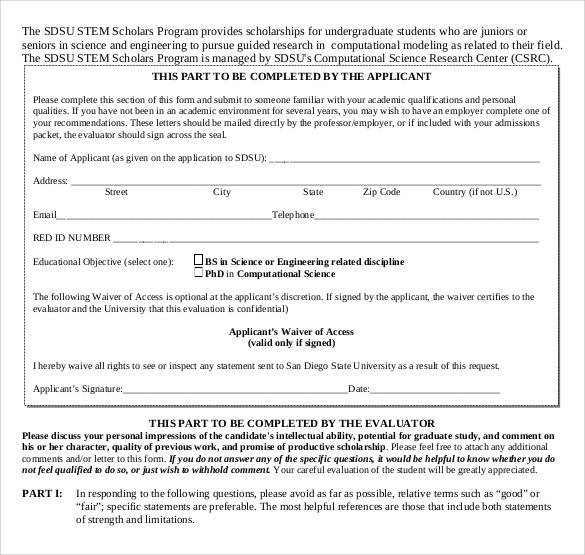 This is a form for recommending students for university admission. 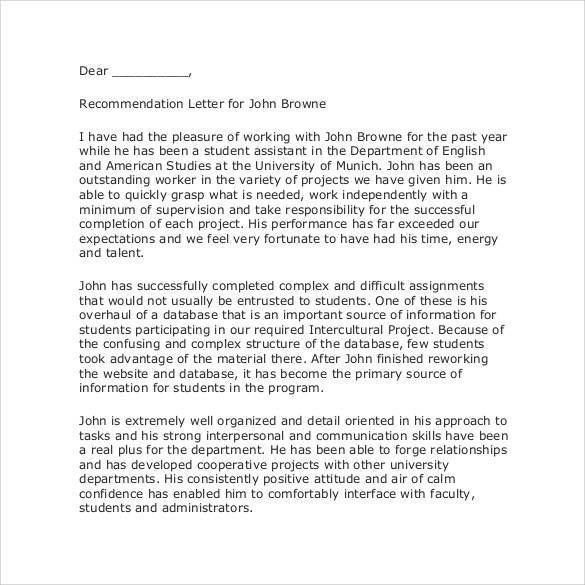 It contains fields to write recipient name and other details, the points that the letter will cover, and other declaration of the recommender. 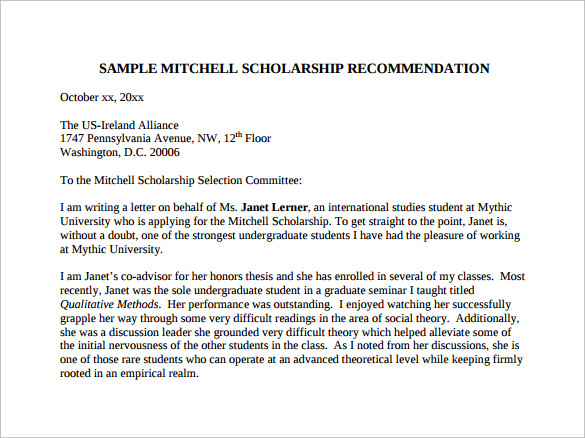 General Letter of recommendation for a student is obviously academic in character. 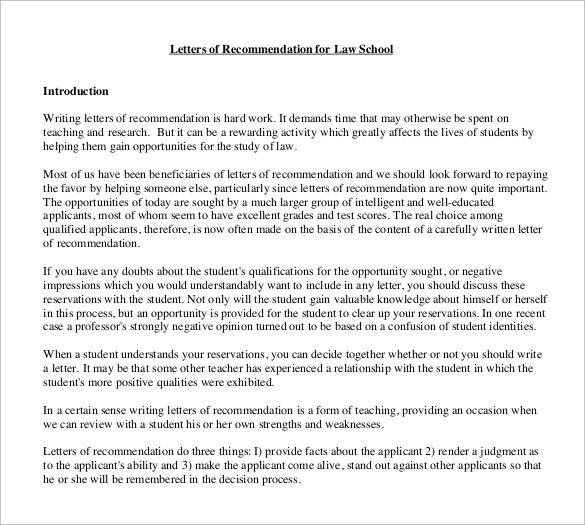 However, academic letters may intersect with employment letters in the case of a student who is seeking a teaching position.